I'd first heard of GIN & JACQIE™ when I was searching for functional bags online. Gin & Jacqie™ is created by avid traveller and reluctant girl-on-the-go Jacqueline Ng. Gin & Jacqie™ has a line of bags that provide long lasting utility, practicality and an unpretentious fashion at affordable prices. The core focus of the brand is well-made bags that are beautiful and appropriate be carried in any setting, be it the office, the mall or the resort, whatever your inclination. 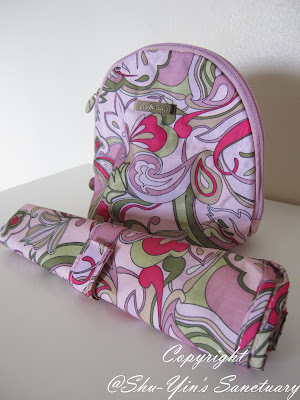 I was happy when I was given a chance to review one of their Nathalie Lunch Pouch & Changing Mat Set. The moment I received the item, I was marveling at the gorgeous floral design. Its printed floral nylon looks really bright and cheery. Let's start with the changing mat. At first glance, I already love the easy-to-wipe clean nylon material. After use, just wipe it with a damp cloth and that's it. Clean as new. It is not easily stained although soiled. The changing mat size of 60cm x 50cm is very generous indeed. Love it as Khye is a big baby, so I am thankful that the mat is not too small that I had to think whether to place Khye's head or bottom on the mat! And I also love that the changing mat is rollable with velcro strap fastener. This makes it easy to bring to roll it up and bring it anywhere. 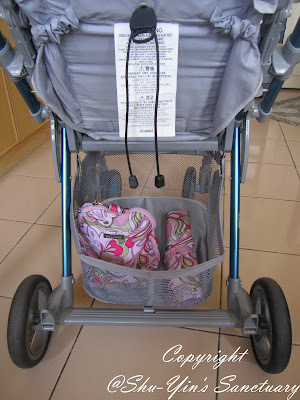 Most times, I just chuck it into the stroller basket for a quick trip, or in my handbag. I love, love, love this lunch pouch. This size of 19cm x 14cm x 11cm is just perfect. Not too big, and not too small. Look at this, it is just slightly bigger than my palm. The handle on top of the lunch pouch makes it convenient if I want to carry it about just like that. Even Shern can carry it all by himself given the perfect size. 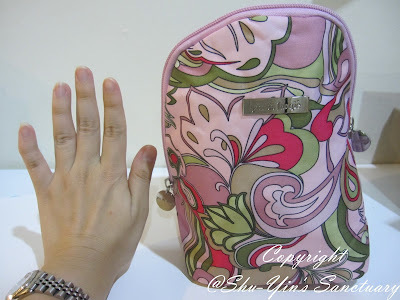 Although just slightly bigger than my palm size, this lunch pouch is very roomy, with a base. It has a 3/4 zipper opening with 2 zips, which makes it so much easier to zip/unzip to retrieve things. 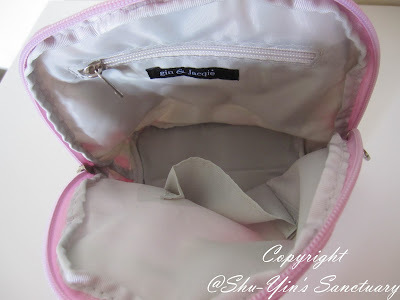 Inside, there is an additional zipper compartment. There is also a small pocket/compartment on the other side. When used as a lunch pouch, it can fit in so much. 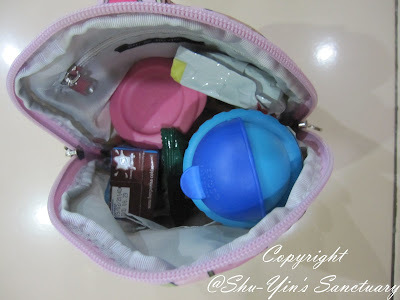 This is an example of a packed lunch we brought for an outing. In it I packed a packet drink, a packet of biscuits, a small tupperware of snacks, a packet of wipes, and also a bottle of water. All can be fitted into the main compartment. I put my keys inside the small pocket. And in the zippered compartment had my cards and some money, and also my mobile phone. 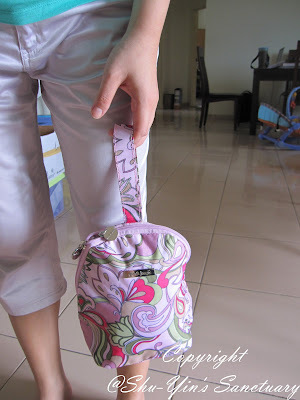 But quite often, I used it as a mini diaper bag for a quick outing. In it, I packed 2 diapers, a change of clothes, a packet of wipes, a hanky, a nursing cover, and a tub of baby bottom balm all in the main compartment. And in the pocket as usual I had my keys, and my cards and some cash is in the zippered compartment. This is how it looks sideways. When zipped up, it doesn't look bulky at all. I'm quite amazed by how much things it can fit. 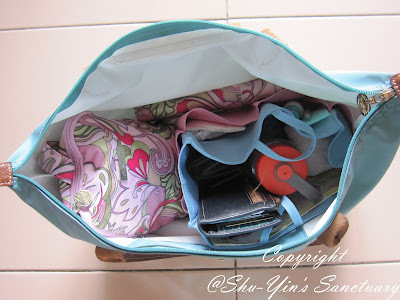 Besides just carrying just like that by slinging my hand through the handle, I usually popped it into my handbag, together with the Changing Mat. It is small enough to fit into my Medium Longchamp Le Pliage handbag, which I then just sling it over my shoulder. By putting all my things into my handbag, I have less items to carry. And with 2 kiddos, I really need both my hands! Or if I'm bringing the stroller along, I'll chuck both items in my stroller basket, and we're good to go for a mini outing. I really like this Nathalie Lunch Pouch & Changing Mat Set very much. And I forsee that I will be using them for a long time as the material is durable, and is low on maintenance, which is so suitable for busy mums like me! Priced at only RM39.90, it is really affordable and truly a steal! You can purchase Nathalie Lunch Pouch & Changing Mat Set online at Gin & Jacqie™. More good news! 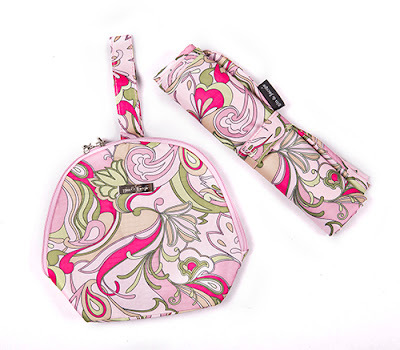 Thanks to Gin & Jacqie™ you get 20% off for Nathalie Lunch Pouch & Changing Mat Set. 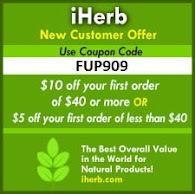 Just key in the Coupon Code 'SY2013' upon check out, and you are good to go. This promotion is valid from 24th May 2013 to 24th June 2013. *Coupon is not valid with other promotions and discount coupons. For more info, please visit Gin & Jacqie™ Facebook page. * Disclosure: I received a Gin & Jacqie's Nathalie Lunch Pouch & Changing Mat Set for review purpose, but no monetary incentive was received. All text and opinions are of my own and represents my honest opinion of the product(s).